By the end of March, many ski resorts are wrapping up their ski seasons… but not in Banff National Park! With the longest non-glacial ski season in North America, here savvy snow-seekers know how to take spring skiing to the next level – all the way until late May. 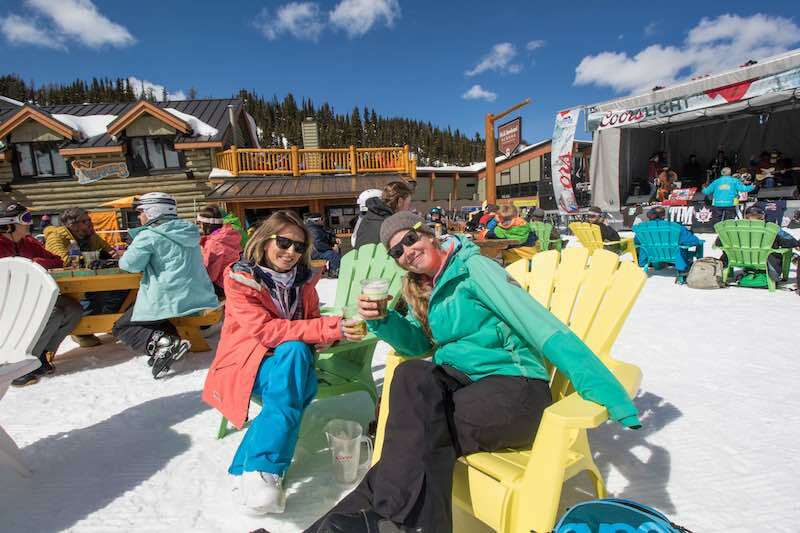 Here are 8 reasons why you need to experience spring skiing at SkiBig3: Banff Sunshine, Lake Louise Ski Resort & Mt Norquay. Easter and spring ski season is shaping up to be great! Banff National Park’s famously long ski season offers an excellent opportunity to experience all three Ski Big 3 resorts: Mt Norquay, The Lake Louise Ski Resort and Banff Sunshine Village. 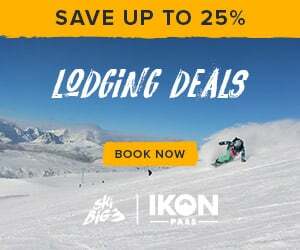 Want to ski at each unique resort this spring season? 10 minutes from downtown Banff, you can hit the popular slopes of family-friendly Mt Norquay until April 22nd. At Lake Louise, snow-seekers can explore one of the largest ski areas in Canada, The Lake Louise Ski Resort, until their season’s last day on May 5th. 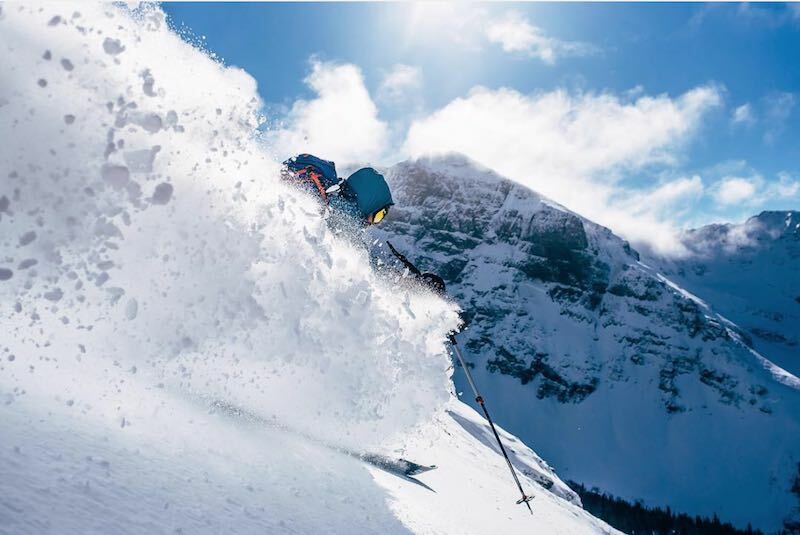 For the balmiest spring skiing opportunity, chase those powder turns all the way until the Victoria Day long-weekend, May 20, 2019, at Banff Sunshine Village. With the highest elevation of the SkiBig3 resorts, Sunshine is home to the longest non-glacial ski season in North America – an impressive 7 months of skiing and snowboarding. Springtime kicks off in Banff National Park from mid-March, and it brings some of the mildest and most enjoyable conditions of the ski season. With average daytime temperatures around 3°C/37°F in March, 8°C/46°F in April and 14°C/57°F in May, this milder weather has a number of perks in contrast to the chill of mid-winter. Needing fewer layers means you can pack lighter when travelling and hit the slopes sporting your favourite spring ski fashions. And with the coldest days of the season behind you, warmer days mean more time to work on your turns, perfect your goggle tan, and picnic on the patio. Photo courtesy of the Juniper Bistro. Travelling with kids? The Easter holiday break is a great time for the whole family to experience Banff National Park. 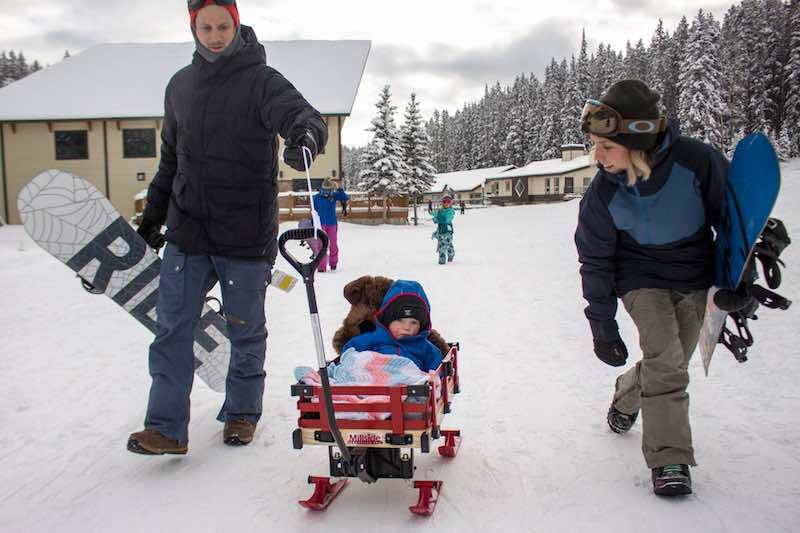 On the morning of Easter Sunday, April 21st, your little ones can hit the slopes for a very popular Mt Norquay Easter egg hunt, free for all kids. 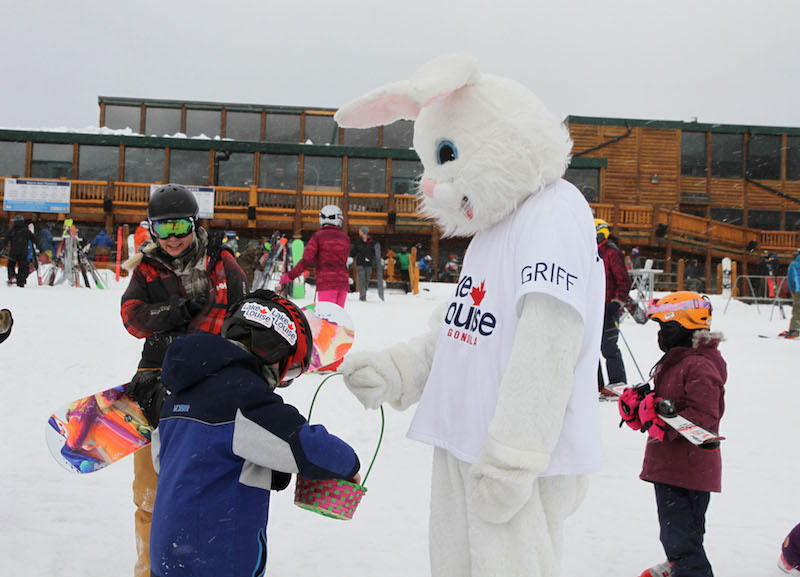 You can also enjoy Easter egg hunts and Easter Bunny photo opportunities on-mountain at Banff Sunshine Village (April 19 – 21) and The Lake Louise Ski Resort (April 19 – 21). Dig in the snow for hidden chocolate treasures left by the Easter Bunny and collect some memorable happy snaps along the way – sure ways to make a memorable long weekend. Photo courtesy of Lake Louise Ski Resort. As closing day draws closer, late-season sales can offer substantial savings with last-minute deals, mid-week specials, and short stay packages. Visiting from the US? The currently low Canadian dollar also means the exchange rate stacks up the savings even further in your financial favour. In April and May, Banff Sunshine Village and The Lake Louise Ski Resort each host a Spring Music Series on the weekends to keep the après stoke alive. It’s the perfect time to head to the patio, open a cold one and kick back to the chill sounds of local music, while working on your goggle tan. What could be better than bacon? In grand tribute to this culinary favourite, Banff Sunshine Village will be hamming it up with the return of Bacon Fest (May 4, 2019) hosting the ultimate Sunshine “Pig Out” challenge: the Bacon Strip Sprint! Then, help Crown the King and Queen of Bacon! The five best dressed men and women will be asked on stage to determine audience choice. Fill up with bacon-specials at all resort food & beverage outlets throughout the day. 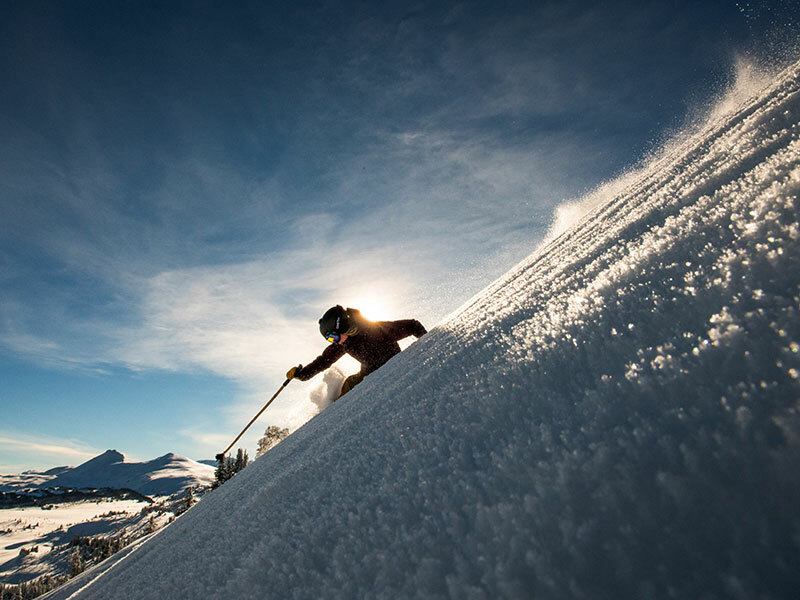 Keep the spring-time stoke alive at Shake the Lake (April 27, 2019), one of the biggest events of the year at The Lake Louise Ski Resort. By day, head to the Kokanee Kup pond-skimming event. Once the sun goes down, head to the base area where the Lodge of Ten Peaks transforms into the pumping Shake the Lake After-Party. Spring Concert Series at Mad Trapper's, Photo courtesy of Banff Sunshine. The onset of spring offers a great opportunity to witness the beauty of Banff and Lake Louise from a whole new perspective. 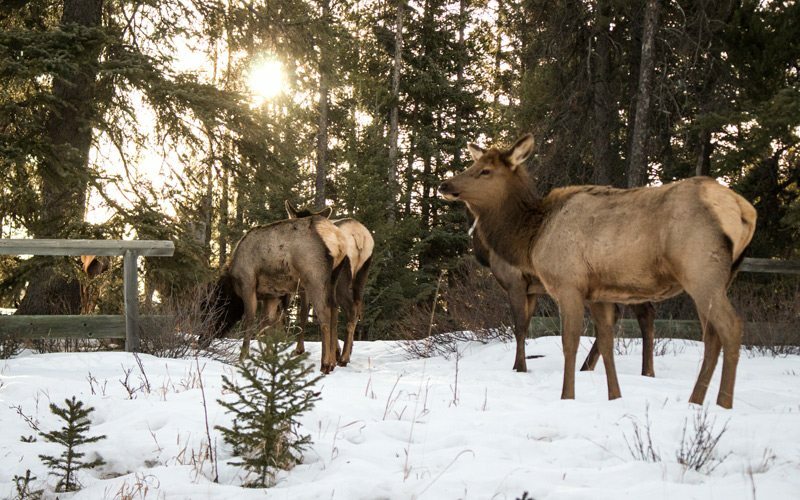 As the snow begins to recede, the wildlife of Banff National Park emerge from their winter hideaways. The Park, home to 53 species of mammals, offers up great opportunities to spot these magnificent creatures in their natural environment. Note: for your safety and the safety of the wildlife, always keep your distance and never feed any wildlife (or face a hefty fine). Banff National Park is home to a variety of protected wildlife. Photo: Luke Sudermann, March 2017. Thanks to longer daylight hours, a spring visit to Banff National Park means you can spend more time skiing. Extended ski hours mean some chairlifts at SkiBig3 resorts remain open until 4:30pm, giving you more time to enjoy the mountains. During springtime, there’s also no need to head straight indoors once your ski day has ended. If you’re feeling extra energetic after hitting the slopes, keep the adrenaline going into the evening. Take up a summer-focused challenge offered at lower elevations, such as fat-biking, hiking, canoeing, cycling, rock climbing or maybe even a round of golf – the options are endless as the season warms up. Fat biking is a great way to explore wider Banff National Park during spring. Photo: Luke Sudermann, March 20, 2017. Ski season doesn’t end quietly in Banff and Lake Louise – it goes out with a bang! 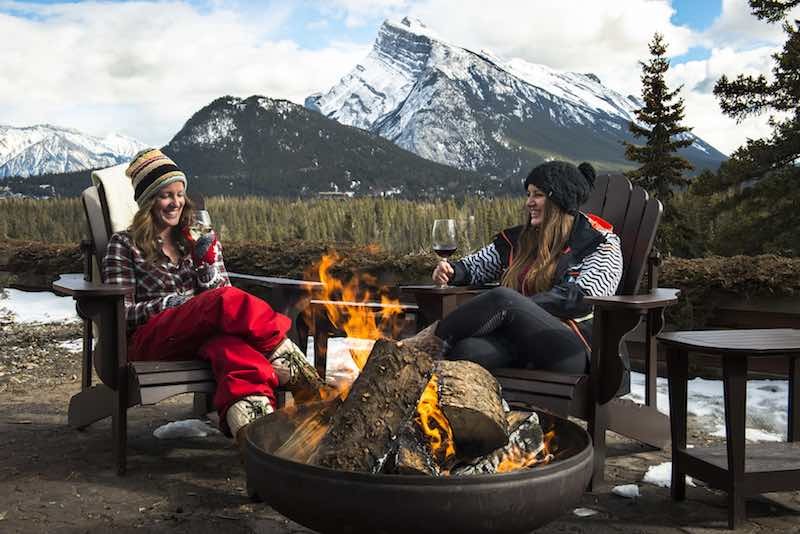 At The Lake Louise Ski Resort, don’t miss closing weekend celebrations (May 4-5, 2019). Hit your favourite runs in amazing spring conditions, then head to Kokanee Kabin for live music, good food and drink, and an atmosphere to remember. 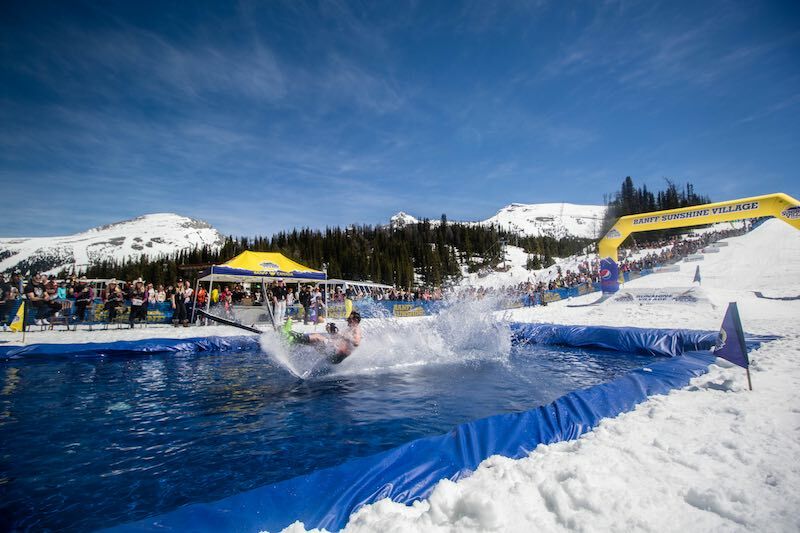 For guaranteed good times, don’t miss the 91st Annual Slush Cup, Banff Sunshine Village’s biggest event of the season, held on closing day (May 20, 2019). This legendary pond skimming contest challenges skiers and snowboarders to skim across a pond of icy water, with a successful few taking home a top prize. Punters and participants are known for cranking up the spring vibe a notch or two, seeing out the season in style. Slush Cup 2017, Photo Courtesy of Banff Sunshine Village. Ready for an unforgettable spring in the mountains? Our friendly Reservations Team is always happy to share their local knowledge and experience to help you find the best vacation package for your style and budget. You can reach them via Live Chat (scroll up for the Live Chat link at the top of our website), or by calling 1-844-754-2443.